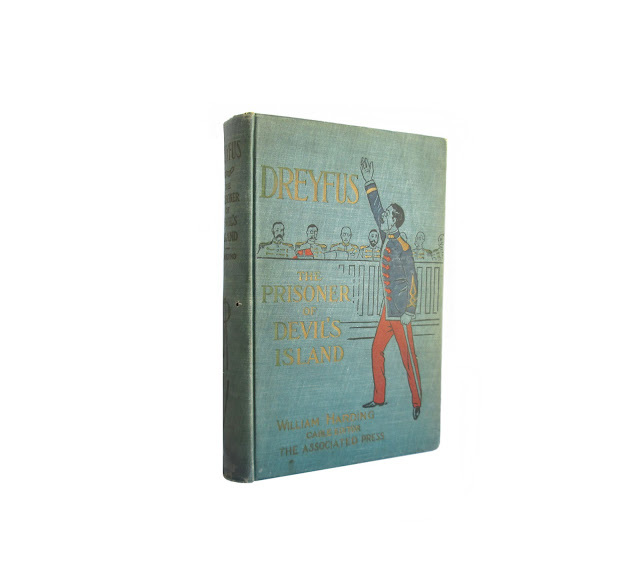 This antique hardcover book is bound in blue-green cloth with bright gilt lettering and a multicolored embossed cover illustration of Dreyfus, presumably depicted during his court-martial hearing. Cover and edge wear; hinges are broken; discoloration to the spine and cover; browned pages, wear and soil. 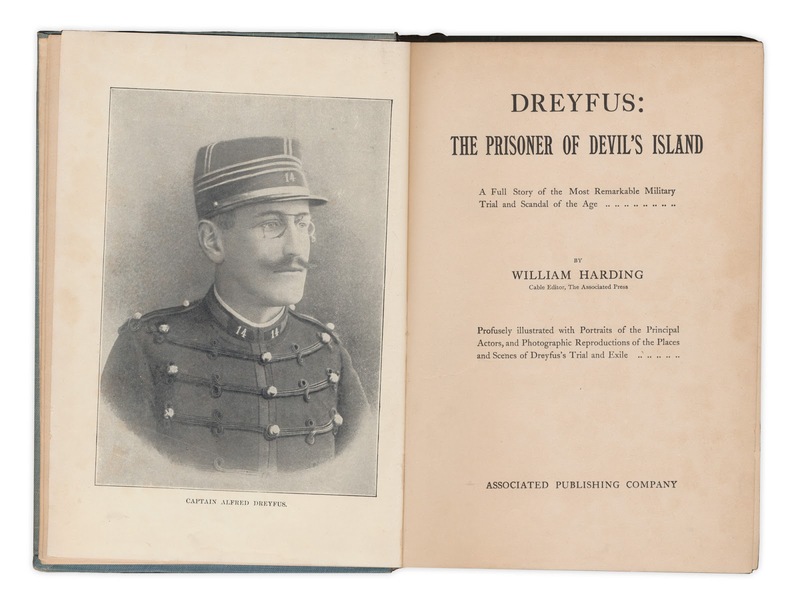 The book recounts in detail the accusation of Alfred Dreyfus, a Jewish captain in the French army, who was accused and wrongfully convicted of treason and sentenced to imprisonment on Devil's Island. The case was brought to the public's attention by the famous accusation of novelist Emile Zola, who denounced the trial in a legendary newspaper article headed "J'Accuse!". 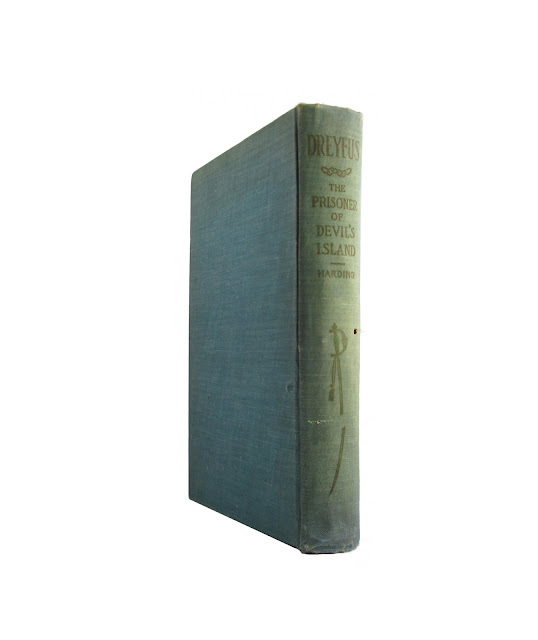 406 pages; approx. 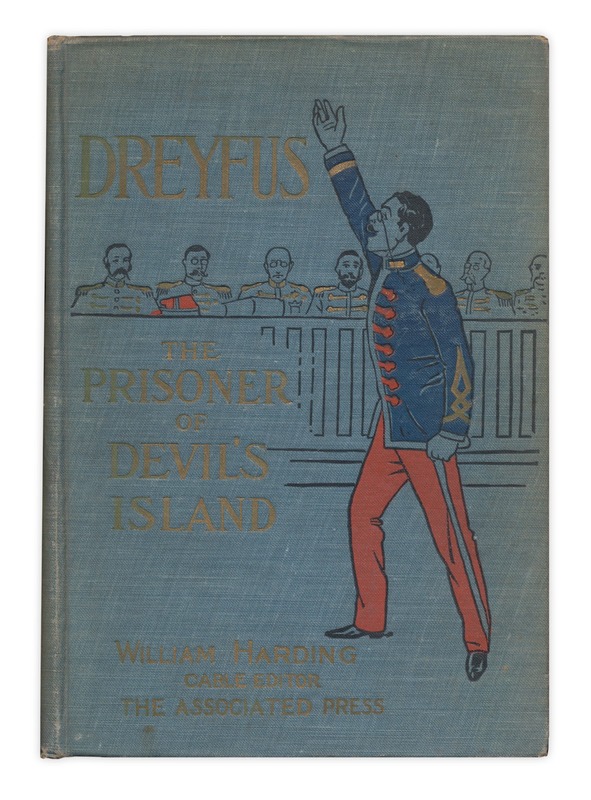 6"x9"